Charles Hugh Smith’s article, Loving Our Debt-Serfdom: Our Neofeudal Status Quo, exposes the stark reality and brilliantly explains our current predicament. “Neofeudalism is a subtle control structure that is invisible to those who buy into the Mainstream Media portrayal of our society and economy. This portrayal includes an apparent contradiction: America is a meritocracy–the best and brightest rise to the top, if they have pluck and work hard– and America is all about identity politics: whomever doesn’t make it is a victim of bias. He goes on to describe the control mechanisms that characterized historical feudalism and outlines their present neofeudal manifestation, saying, “Our system is Neofeudal because the non-elites have no real voice in the public sphere, and ownership of productive capital is indirectly suppressed by the state-corporate duopoly,” and backs it up with numbers that show the growing income and wealth inequality and crushing debt burden of the lower classes. Read the complete article here. Highly recommended! WHERE DID THE GREEK BAILOUT MONEY GO? My two month visit to Greece last summer prompted me to develop some proposals that might be applied in Greece and other countries where the government has become insolvent. I’ve written these up in an article that was recently published in the online journal, Common Dreams. You can read it there or here below. It was also republished on Resilience and can be found there. By Thomas H. Greco, Jr. Following the resounding “NO” vote by the Greek people on the bailout conditions in the July referendum, the negotiations between the Greek government and “the institutions” resumed with the expectation that a better deal for Greece would ensue. The outcome was quite the contrary. Greek negotiators ended up agreeing to a bailout deal that was far more onerous than the one the voters had rejected. Why? The harsh reality is that the Greek government is insolvent. Having been lured into the debt-trap and the shared euro currency by western oligarchs using a combination of measures, including outright fraud, Greece was forced to accept the onerous conditions attached to the first two bailouts. Now it has been bludgeoned into accepting a third. The weapon of choice is the euro currency itself which is being wielded by the European Central Bank (ECB). By throttling the flow of euro currency into the country, the ECB last summer created near chaos in the Greek economy. This, and the threat of even more severe punishment in the future, was enough to bring the Greek government to heel. Greek government surrenders; now it’s up to the people to save themselves. Regarding contingency plans, Varoufakis commented that “if they dared shut our banks down,” strong action would need to be taken “..but without crossing the point of no return.” He said, “We should issue our own IOUs, or even at least announce that we’re going to issue our own euro-denominated liquidity; we should haircut the Greek 2012 bonds that the ECB held, or announce we were going to do it; and we should take control of the Bank of Greece. This was the triptych, the three things, which I thought we should respond with if the ECB shut down our banks.” But his recommendations were voted down by his colleagues. “Nothing shocks me these days – our Eurozone is a very inhospitable place for decent people. It wouldn’t shock me either [for Prime Minister Tsipras] to stay on and accept a very bad deal. Because I can understand he feels he has an obligation to the people that support him, support us, not to let this country become a failed state. Sunday, July 05, 2015. Somewhere in Greece. As we await the outcome of the referendum vote, the atmosphere here is one of calm expectancy. In my view, the Greek crisis is shaping up to be a major battle with the forces of banking and corporate power that are intent on imposing a neo-feudal New World Order, arrayed against those who are hoping to preserve some hope of social justice, economic equity, self-determination, and democratic government. It is a Goliath vs. David situation. With mostly propaganda coming from the mainstream media, people’s beliefs are shaped to conform to the picture that serves the Goliath agenda. Be not deceived. 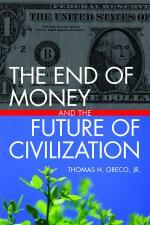 This article referred to below is very important and offers a deeper insight into the Greek situation.-t.h.g.